I want to download YouTube videos and burn YouTube to DVDs so that I can watch on my car as well as my DVD player offline. I used some other programs to burn YouTube videos and am always wondering why a DVD burnt would not play on my DVD player until I try Wondershare Video Converter Ultimate and I do think it is the best all-in-one software on macOS Sierra, High Sierra as well as Windows 10 to download YouTube videos and burn YouTube videos to DVD and it’s also able to burn popular video formats including AVI, MOV, MP4, WMV to DVDs with interactive menus, making DVDs professional-looking. Update: FIFA World Cup 2018 is coming in Russia, if you want to download 2018 World Cup videos and burn them to DVD, this guide also helps! 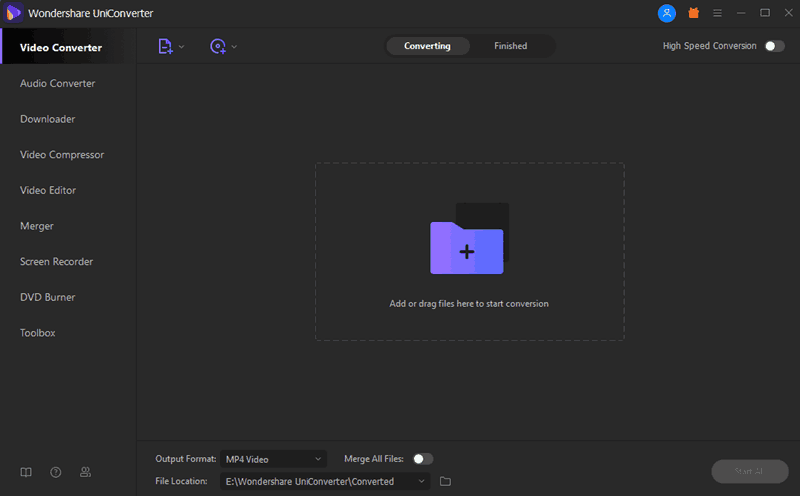 Wondershare Video Converter Ultimate is a powerful and feature-rich YouTube downloader and DVD burner software for Windows and Mac users and it is fully compatible with the latest operating systems like Windows 10 and macOS 10.13 High Sierra, 10.14 Mojave. With its user-friendly UI, it is easy to use and you are supposed to download and burn YouTube videos to a professional-looking DVD if you follow the inside guide. I’d like to burn the downloaded YouTube videos back to DVDs and watch on my car as well as my DVD player, thus I’d like to show what I do to download burn YouTube videos to DVD with Wondershare. 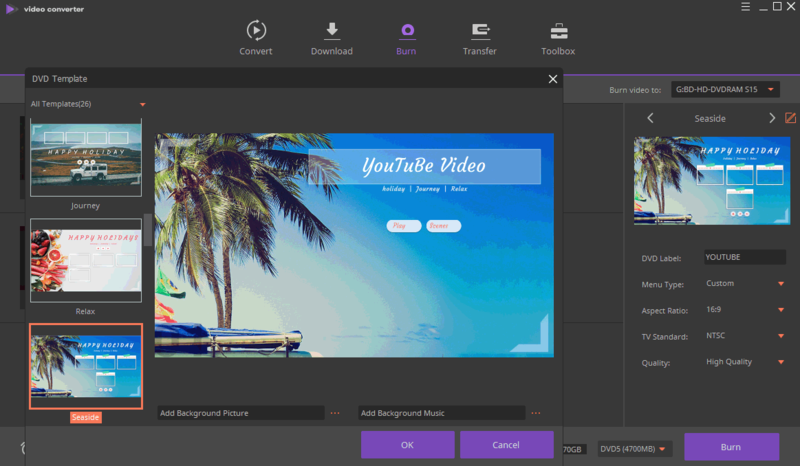 Except being an all-in-one YouTube downloader and DVD burner, Wondershare Video Converter Ultimate comes with a variety of useful tools like DVD ripping, video converting, file transferring, videocasting, media-data fixing, screen recording, gif making etc. 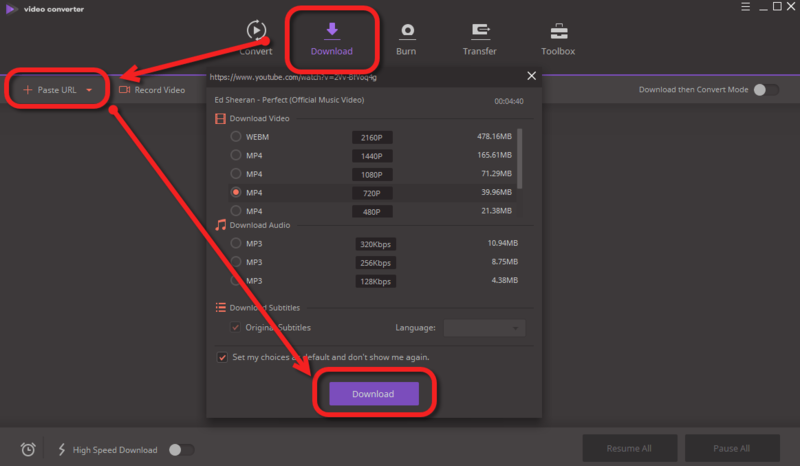 Wondershare supports downloading the whole playlist as well as the whole channel. Just click Paste URL as well and confirm the download in the below window and later burn the whole playlist to DVD. To download YouTube videos and plan to burn them to DVD? I suggest you to go for the resolution 720P or 480P as DVDs are only 720*480 or 720×576. Downloading 1080 or 4K videos won’t give you much if you plan to burn them back to DVDs. After the download is finished, Wondershare is ready for the burn as well! You are free to change the disc label, video quality, capacity, aspect radio, TV standard and everything before you burn. So, no worry if you this for the first time. Also, custom a template for DVD menus if you want to make your own DVD more preferential. Basic templates look great too! And you are always free to change your mind after you click OK. Don’t like the template? No worry, add your own background picture and music to make it your own! Please note Wondershare add each video to a scene. 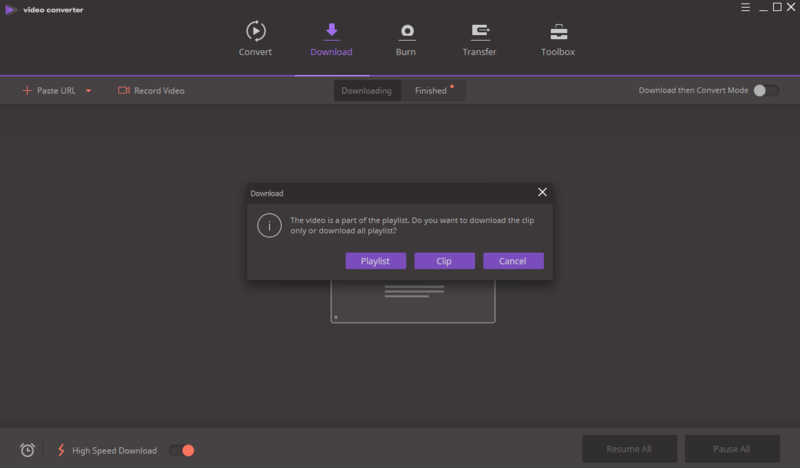 How does Wondershare download and burn YouTube videos for you? How does the burned DVD play on your DVD player? Let me know your good news!